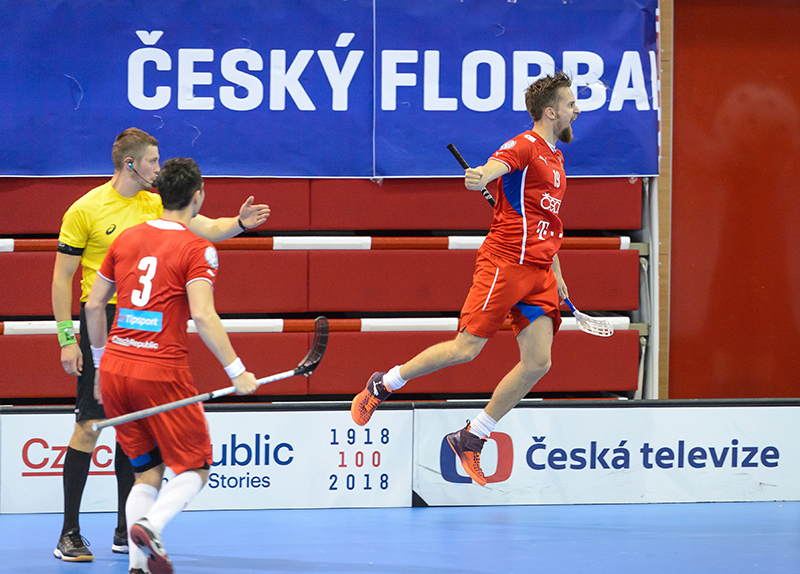 During last two years there were comprehensive data collected from floorball games from Tipsport Superliga (Czech elite league). There were Euro Floorball Tour games from Pardubice added as input for the analysis. There is one question that is of a big interest of many. In fact this question should be the most relevant for every sport data analyst. What actions that can be measured from the game are those connected to winning? Despite respectable sample size it is still not possible to answer the question with statistical significance but now it shows the direction in which data collection in floorball should be headed. First three correlations have a negative sign meaning that with increase of a measure goal differential decreases. In more understandable way, teams who record more shot attempts from slow attacks usually lose the game, for instance. There are two main measures that proved to be significant to watch – share of blocks (correlation of +0,73) and shot attempts from breakaway (+0,87). These teams that finish games with a positive share of blocks result and/or positive shot attempts from breakaway results are usually the winners. Let´s look at the data for both of these measures and see the correlation with our own sight. In both cases there is a visible positive correlation found. There is a bigger sample size for share of blocks variable (28 games) than shot attempts from breakaways (only 16). Both seem to be of a great interest to track and evaluate in future floorball data analysis. On top of this and inspired by work of Stephen Shea and Christopher Baker (Hockey Analytics, 2017) there were possession-based data collected for all three EFT men games in Pardubice. These measures includes different types of possessions (slow attack, quick attack, turnover and no attack) and also tracking clear paths, cross field passes and odd man rushes. Too early to evaluate by numbers but all these measures seem to be closely connected to winning as well. Tracking more games will only help this area of study. Those who are interested in deeper understanding of the game, those who are not satisfied with traditional statistics such as shots on goal should stay tuned and await or are very welcomed to take part in the future floorball data analysis.